We are keeping a log of all the engineering activities we are doing during the school year. Click here to view us constructing paper planes. 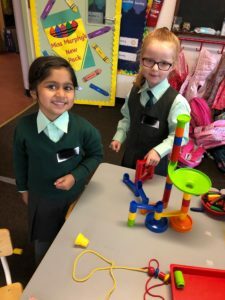 Miss Murphy’s Junior Infants working together to construct a marble tower!